MR. SIMPSON: Thank you, Mr. Speaker. I have questions for the Minister of Infrastructure. This is something I’ve brought up multiple times. It’s something that gets brought up to me a lot. It is dredging in the port of Hay River. This is more important than ever: that government has committed to invest millions of dollars in a new fish plant to revitalize the fishery; it now owns Marine Transportation Services, which requires use of those waterways; we are looking to encourage tourism so we need a safe harbour – the Minister has stated many times that safety is his number one priority. I would like an update: what progress has been made getting the port of Hay River dredged? Thank you, Mr. Speaker. MR. SPEAKER: Masi. Minister of Infrastructure. HON. WALLY SCHUMANN: Thank you, Mr. Speaker. We are pursuing federal funding through the Ocean Protection Plan. For Members of this House, that is a different pot of money from the bilaterals that we have signed. The federal government has set aside $1.5 billion for the nation for five years moving forward from 2017-2018 on this. Our Department of Infrastructure has been in conversations with different federal agencies because this pot of money has more than one federal minister in charge of it. It has Transport Canada. It has Canadian Coast Guard. I believe the Minister of Environment is also involved in that. It is funny that the Member asks me this question today, because our staff is actually down in Ottawa today meeting with Canadian Coast Guard and pursuing what kind of opportunities we have through this funding arrangement that is coming forward with the federal government on this project. When I get more information on the exact funding advancements that are possible through this program, I will update the House on that. Thank you, Mr. Speaker. MR. SIMPSON: That is great information. I realize it is early days, but does the Minister have a schedule – when we might know about the amount of funding and when this work might actually begin? HON. WALLY SCHUMANN: As I have said, we are in discussions. I believe that the federal government wants to sign off on some of this money moving forward. They have five different programs, I believe, under this with 57 different initiatives for all of Canada. For the one that they announced in last August for the Northern three territories, I guess that would be us, Nunavut, Nunavik, is the Safety Equipment and Basic Marine Infrastructure program. That is the one we are in discussions with the federal government on this right now. Under this initiative, they want to look at doing something with 30 Northern communities, including all three territories. That is what we are negotiating with them and having discussions on how this is going to move forward. Once we get something signed up, I will have a better idea of a schedule and the funding opportunities and what that is going to go towards. We have a significant ask around a number of things. 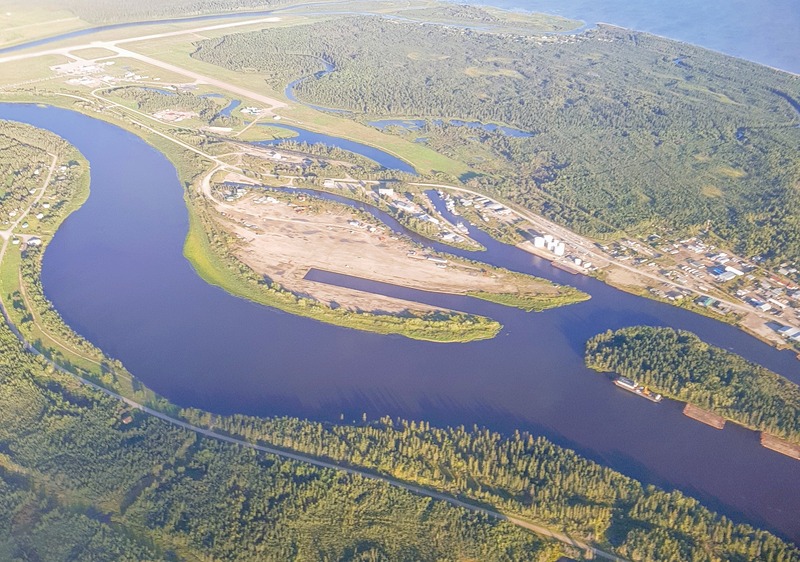 The dredging of the port of Hay River is a priority, but it is only one of the things on the list. MR. SIMPSON: Does the Minister have any information about the costs of dredging the port? I know when you’re asking for money, you usually have to ask for a specific amount of money. Does the Minister have that information for us? HON. WALLY SCHUMANN: I don’t have that level of detail in front of me. I know that the stuff that we identified under marine priorities comes to about $55 million for our ask. When I said that this pot of money that they are talking about right now for $94 million, I don’t know what we are going to get funded. I can get the breakout, what it would be looking to restore the harbour in Hay River for the Member. MR. SIMPSON: Thank you, Mr. Speaker. I mentioned fishing, marine transportation, tourism. There is also talk of GNWT taking more responsibility from the Department of Fisheries and Oceans, and we have the new marine training facility, which is a federal facility. There is a lot going on in regards to the port of Hay River. Is the Minister confident that, before the end of this term, given the fact that the feds are more invested now than ever, we will have that port dredged or at least work begun? Thank you, Mr. Speaker. HON. WALLY SCHUMANN: My hope is to have the port of Hay River at least started on the dredging. We have to secure funding. We will have to see what the appetite of the federal government is to help partner with us to do this. We know it is a priority for us now that we own MTS. Federal dollars are invested in some of the marine stuff in Hay River; the Canadian Coast Guard also has an investment in it. We are pursuing these dollars as best we can. Yes, I certainly hope we can be able to say we are going to at least start looking after the restoration of the harbour in Hay River. Thank you, Mr. Speaker.